Eversave Giveaway a Day! Perfect Gifts for Dad! I am super excited to team up with Eversave.com (again) to finish the week off with some very special giveaways for the man who made it all happen…your pops! Now, if your pops is anything like my pops, you will want to spoil him rotten, and Eversave is giving you plenty of opportunities to do just that! So, what is this partnership you ask. 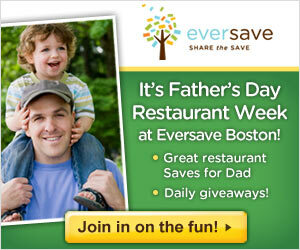 Well, dear readers, Eversave would like to reward one Eat.Live.Blog reader per day (6/22/11 – 6/24/11) with a free save of the day! 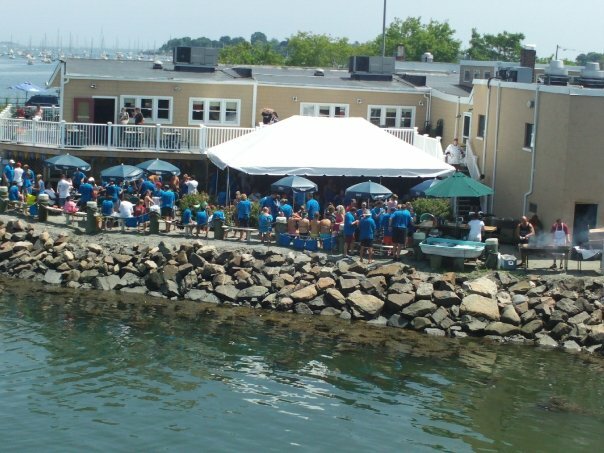 Today’s winner will receive today’s Eversave of $40 worth of deliciousness from the Black Lobster in Salem, MA! And truth be told, you don’t even have to give it to your old man, you can totally keep it for yourself to indulge on! Following eversave on Twitter — and Happy Father’s day Robin!!! I follow Eversave on Twitter! Happy Father’s day to your dad! !